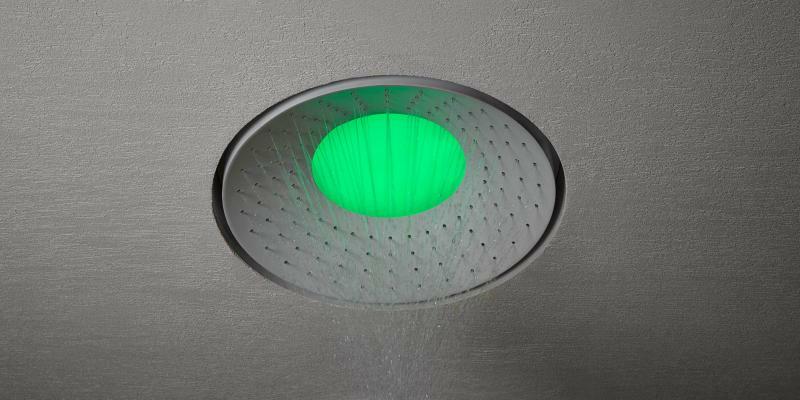 Lumen, a new overhead shower from Antonio Lupi, includes nozzles arranged around a colored LED element. The manufacturer says the product offers water, color, well-being, and relaxation for body and mind. “The relaxation guaranteed by Lumen combines the well-being of water with the effects of chromotherapy,” the brand says. Made from white-painted stainless steel and featuring an LED RGB diode, the unit measures almost 24 inches in diameter. 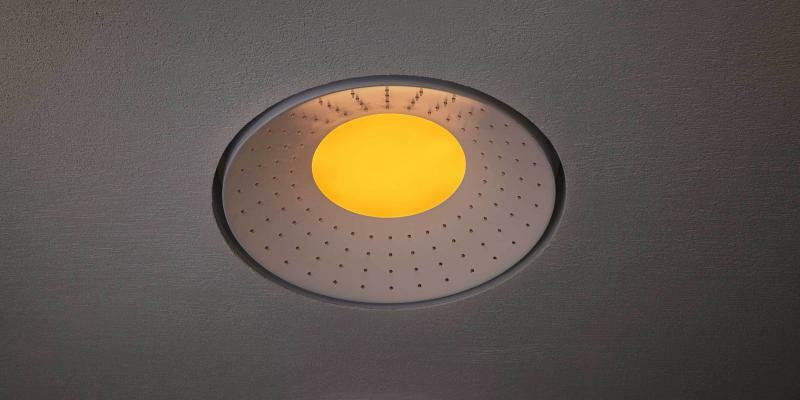 It comes as a recessed ceiling installation and includes a waterproof remote control. One of the special features of the product, the company explains, is the arrangement of the jets. The water converges towards the center, as if attracted by a "magnetic field," but it’s based on the orientation, the company says. “The image of the showerhead in function characterizes the bathroom giving it a sophisticated elegance and an aura of magic,” Antonio Lupi says.